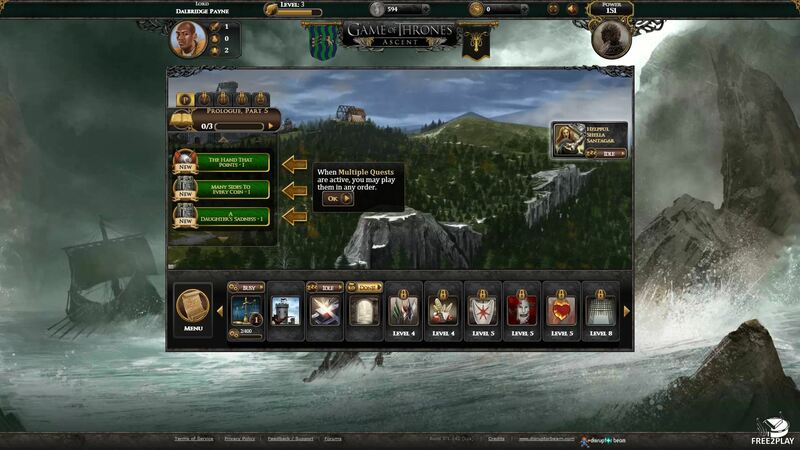 Game of Thrones Ascent is a social and strategy MMORPG which runs on a browser, based on George R.R. Martin's best-selling novels A Song of Ice and Fire and also the hit HBO series Game of Thrones. 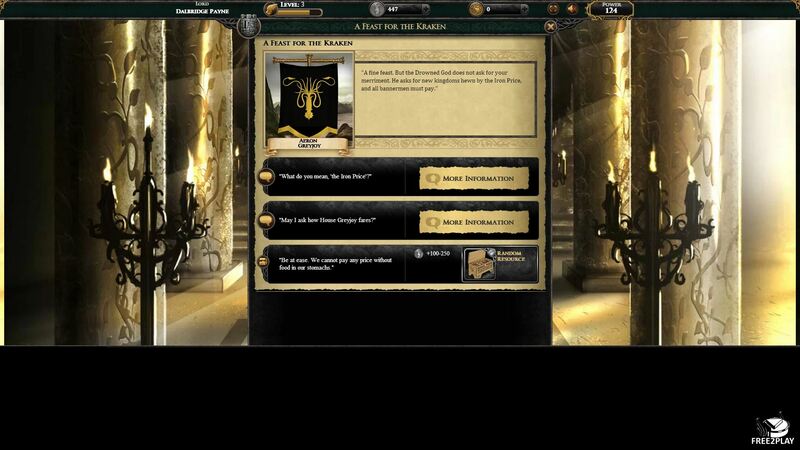 Players will build their own house, embark on quests and even get to join one of the major houses within Westeros to rise in power and eventually claim the Iron Throne for themselves. 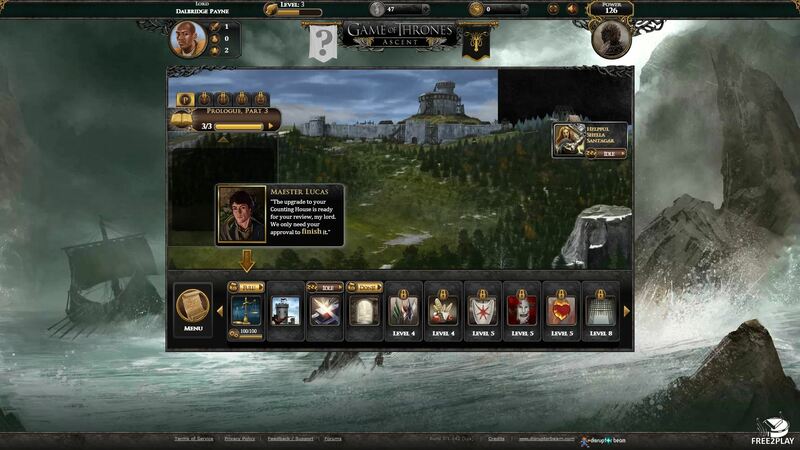 Players csan interact with key characters from the series or create new events and characters within the world. 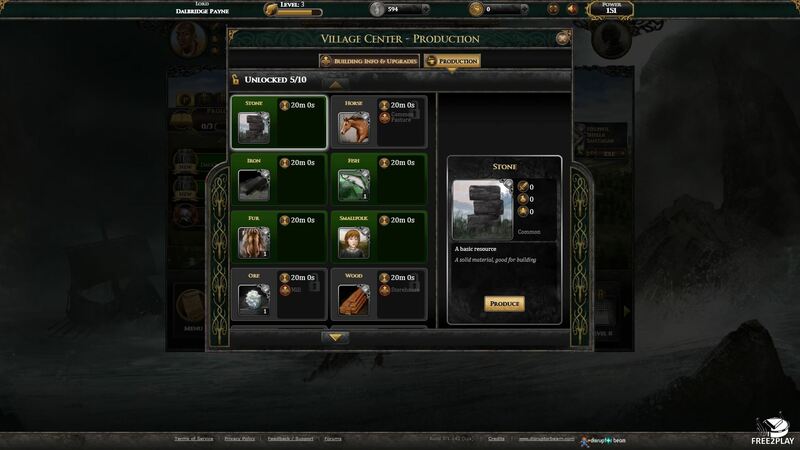 Players manage resources like items, people and currencies in order to perform tasks and set up productions. Earning resources is possible through missions and quests that players have to complete which will also make them advance in the storyline. Every action requires a choice and each decision made will surely lead to adverse consequences, therefore affecting rewards, power, house relations, as well as alignment. With violet eyes and silver hair, they rode dragons and set aflame all who opposed them. They hooked brother with sister to keep the bloodline pure. With near-infinite patience, Targaryen can kneel to false monarchs and keep secretly working to gather allies and send support to the rightful heirs. The heirs of the Storm King, the Baratheons took over the realm when the Tagaryen fell. They're determined warriors, brave and bold. They are always ready to charge into. Also called the Ironborn and live to sail, to fight, and to take everything by force of arms. They are the bloodline of the Grey King and still preserve their most ancient traditions. Masters of the economy, the Lannisters' power and influence are legendary. Loyalty to them returns good rewards. Loyal Lannister vassals wield their gold to good effect. Cold and hardened by the northern territories they inhabited, the Starks truly know how to survive. Stark vassals are very loyal and have prowess in battle. Players make moral choices all the time that have consequences and frequently involve more than the simple “good versus evil”. They can even affect the whole world or the player's character. Decisions also influence alignment, affects how others treat you in general, who asks for aid and who don't, and what choices are available in the future. Other players can even choose to work with or against each other depending on their alignment. Players will distinguish among themselves by tradition, duty, and integrity. Players may opt for the old ways that represent personal justice or the new ways that embody chivalry and the Faith of the Seven. Represents the priority players set for the house, those close to them and themselves, while the realm alignment represents the kingdom and the greater good. Allow players to be cunning as in they look for advantage in any situation, or truthful which implies being straightforward and direct. The game develops around three core categories: battle, trade and intrigue. As players develop their house and character, they should decide whether to focus on an area or to try and use them all. There is the possibility to join a player alliance or to create one of your own. Its members may socialize, communicate, and even coordinate their efforts. In a more personal way, Players can form pacts directly with specific players. The most important pacts involve marriage. Players can marry each other and marry their children to the children of other characters, which yields its own rewards.